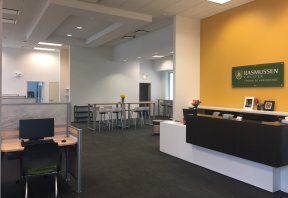 Rasmussen College, a regionally accredited private college, announced the opening of a new learning center in southwest Chicago. The Rasmussen College Centro de Aprendizaje (Learning Center), located at 3948 West 55th Street, will expand access to higher education by providing computer workstations, connectivity and academic coaching and advising to local high school students taking dual-credit courses at Rasmussen College as well as degree-seeking adult students. The Centro de Aprendizaje is immediately available to the College’s dual-credit high school students as well as community members to learn more about earning a degree at Rasmussen College. “We could not be more excited and proud to open the Rasmussen College Centro de Aprendizaje in southwest Chicago — providing another gateway to higher education,” said Dr. Trenda Boyum-Breen, Rasmussen College president. “The Centro de Aprendizaje will be an extension of the work Rasmussen College has been doing with the Academy for Urban School Leadership (AUSL) and will align with our commitment to breaking down technology and financial barriers many high school students and adult learners face when pursuing a college degree.” This partnership and the opening of the Centro de Aprendizaje are a continuation of the College’s more than 116-year tradition of providing high-demand, affordable degree offerings and innovative learning options that meet the evolving needs of students. 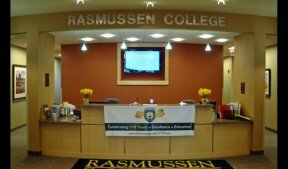 For more information about Rasmussen College, please visit www.rasmussen.edu.